You could probably buy black glitter paper, but since I didn’t have any, I just made my own by adhering black glitter on black card stock, I used my Xyron machine for an even application of adhesive. I punched out the petals using Stampi’Up! Blossoms punch, bent and shaped the petals by hand and arranged them around a large glue dot on a punched circle. For the flower center, I punched out a 3/8″ circle from silver paper and adhered some silver textured beads using a large glue dot. I used the Memory Box Honey Blossom spring die for the floral design. I am not a pro like Laura when it comes to large flower cards (she makes it look so easy!) but I tried my best. It is not clear in the photo, but the background was stamped in Versamark and colored with various light shades of shimmery chalk. 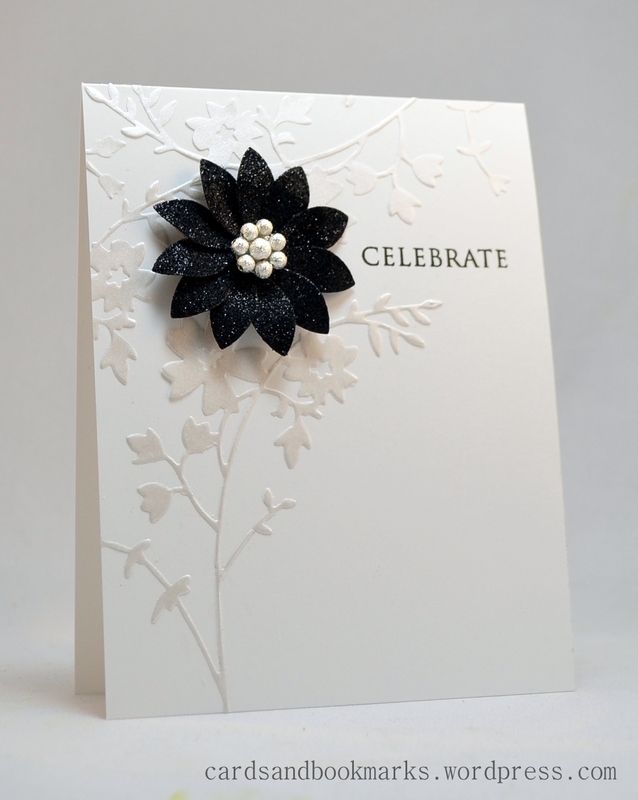 Here I used shimmery silver vellum for the floral die cuts. I was quite happy with it, except I wondered how it would look like with the floral in black. I think I like both versions, but the black one is definitely more striking and more fitting the inspiration photo. What do you think? I hope you can join us this week. 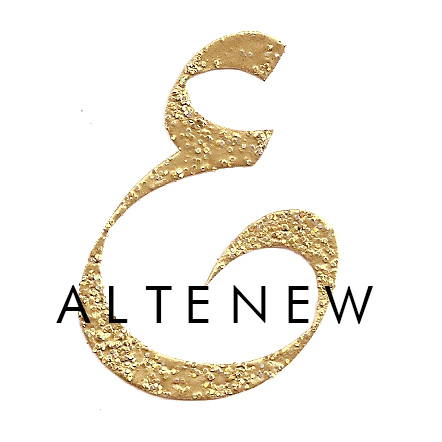 We have a $25 gift certificate to Ellen Hutson’s online store for the winner! Oh my gosh! Your cards are stunning, Tasnim. I’m in love with your glittery blooms. So inspiring! You wowed me again!! What a treat to see all of your interpretations! The glitter bloom is stunning! You are amazing, Tasnim! Love each and every card you have in this post. I do think the first is my favorite, and the one I associate most with the inspiration. But the last one with the pearl vellum is so dreamy (until you wake up with that punchy, black-glitter flower). Well done! Wow…these are all gorgeous and for different reasons! The first is simply striking. It LOOKS like a fashionable card! The second…the background is like the veining in marble…cool effect! The third is elegant and modern. 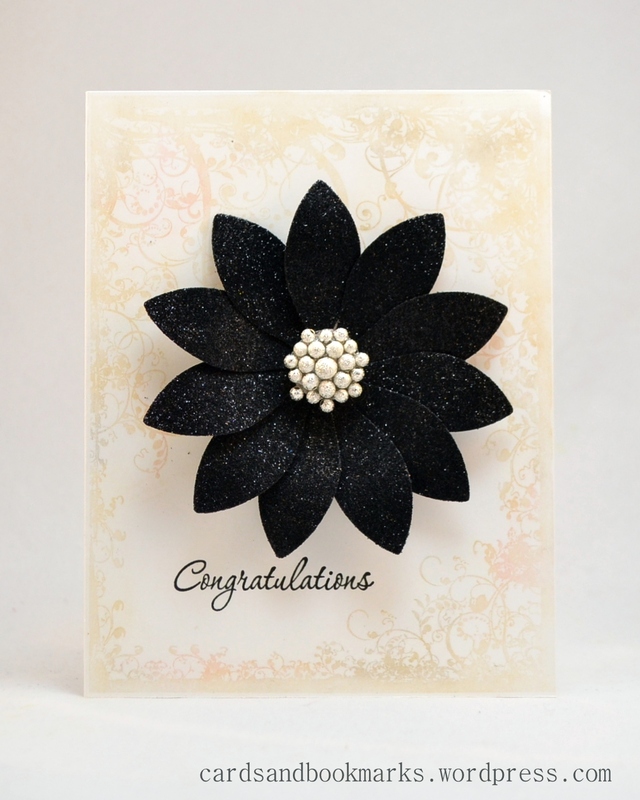 I love the tone on tone quality of the diecut background…the blooms in all three are to die for…especially the pearly centers. As usual you steal the show again Tasnim!!! I love all of these cards but the first one is definitely my favourite! Just feels truer to the inspiration photo and is also uber elegant. Stunning work!!! There you go again – beautiful cards. I agree the black matches the inspiration better, but the subtlety of the vellum-on-white is exquisite, my personal fave. Gorgeous cards! Love the shimmery vellum card but the first one is my fave. Oh my, your cards are a real inspiration to me. Thanks. All I can say is WOW!! You hit 3 home runs with these cards – fabulous job!! Wow these are stunning…the black looks so elegant against the white background. Elegant and stylist, love your stunning creation! They are all amazing Tasnim another pinning moment for sure! Wow, Tasnim!! Gorgeous, as usual! I personally can’t choose my favourite. The three of them are just incredible. Thank you for being such an inspiration! Tasnim, I don’t know where to start! I love them all. 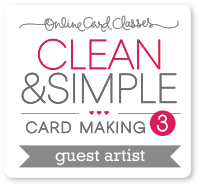 The elegance on your first card is through the roof! I love the touches of glitter. The other two cards are equally stunning! All three of the cards are gorgeous. Oh, wow, these are all so gorgeous! I’m neither tall or skinny either! 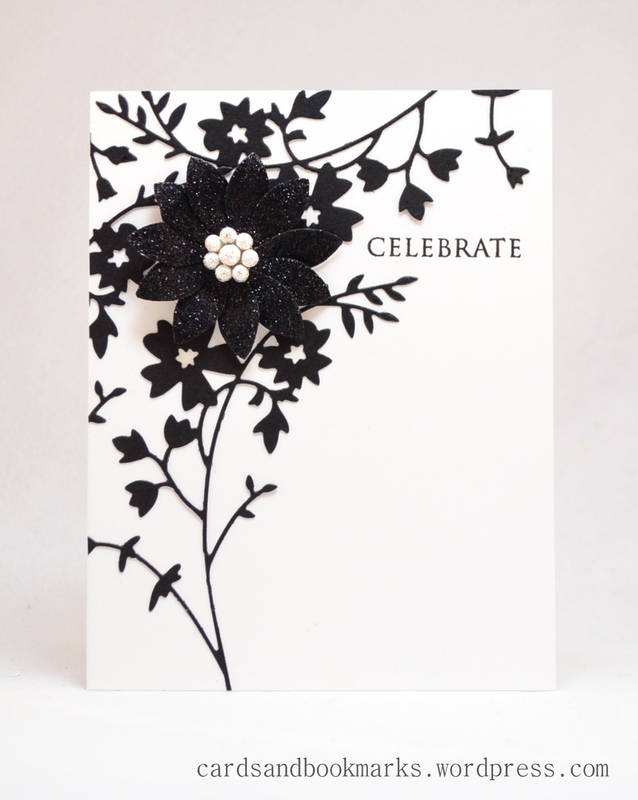 Your cards are lovely, great designs using similar products. Your cards are beautiful. I took a look at the other designers cards on the RIC Blog and they were wonderful, too. You ladies are very talented! So elegant! All of your cards are so beautiful Tasnim!